The application deadline for the 2019 Research Experiences for Undergraduates (REU) program is Feb. 19. 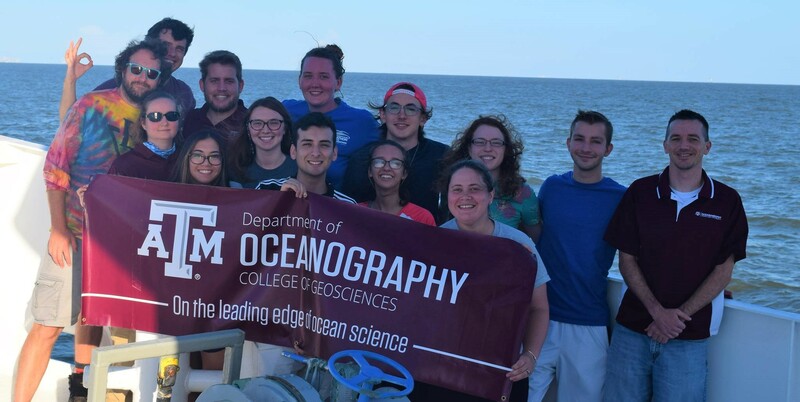 This summer, the Department of Oceanography at Texas A&M University and the Geochemical and Environmental Research Group (GERG) and will again host the “Observing the Ocean” the Research Experiences for Undergraduates (REU) program, which is funded by the National Science Foundation (NSF)[subject to approval of the federal budget]. Ten REU students will participate in a 10-week summer program focusing on innovative ocean observing technologies to address issues facing the coastal oceans, such as hypoxia, harmful algal blooms, ocean acidification and pollution. Students will have the opportunity to work with faculty and staff mentors in laboratories and on seagoing projects to acquire the analytical skills for multidisciplinary oceanographic research. More than 20 faculty and researchers from GERG and the oceanography department serve as REU mentors in interdisciplinary research fields, such as paleoceanography, marine biology, and ocean modeling. The application deadline for the 2019 REU is Feb. 19. Undergraduate students who are US citizens, US nationals, or US permanent residents can apply for the program. Graduating seniors are not eligible for the program. “I highly encourage undergraduate students who are interested in pursuing research and advanced degrees in Oceanography” said Dr. Lisa Campbell, oceanography professor and REU program director. For more information, including application eligibility and procedure, list of REU mentors, and potential student research project topics, visit the official website. Visit the REU’s blog for more photos of past REU projects and participants.